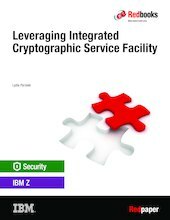 Integrated Cryptographic Service Facility (ICSF) is a part of the IBM® z/OS® operating system that provides cryptographic functions for data security, data integrity, personal identification, digital signatures, and the management of cryptographic keys. Together with the cryptography features of the IBM Z family, it provides secure, high-performance cryptographic functions (such as the loading of master key values) that enable the hardware features to be used by applications. This IBM Redpaper™ publication briefly describes ICSF and the key elements of z/OS that address different security needs. The audience for this publication is cryptographic administrators and security administrators, and those in charge of auditing security in an organization.